Haunt is out on DriveThruRPG and is doing fantastic! Now we got something extra for you Haunt fans: clothing merch! Over at Print Mighty and Spread Shirt we got some Haunt shirts and hoodies for sale, and we’re just starting out. Keep an eye on these stores as we will be making new Haunt clothing designs in the future. 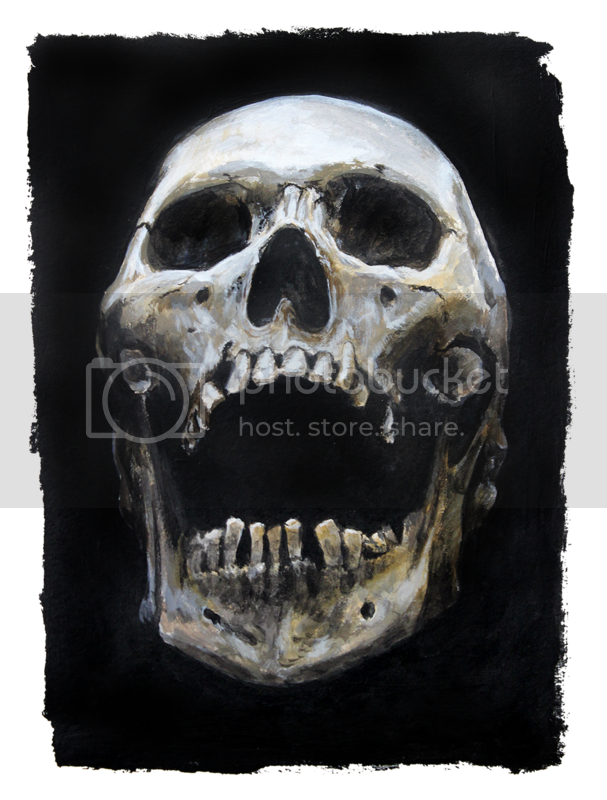 So if you’re in NZ or Oceania, check out the Haunt shirts at Print Mighty below. 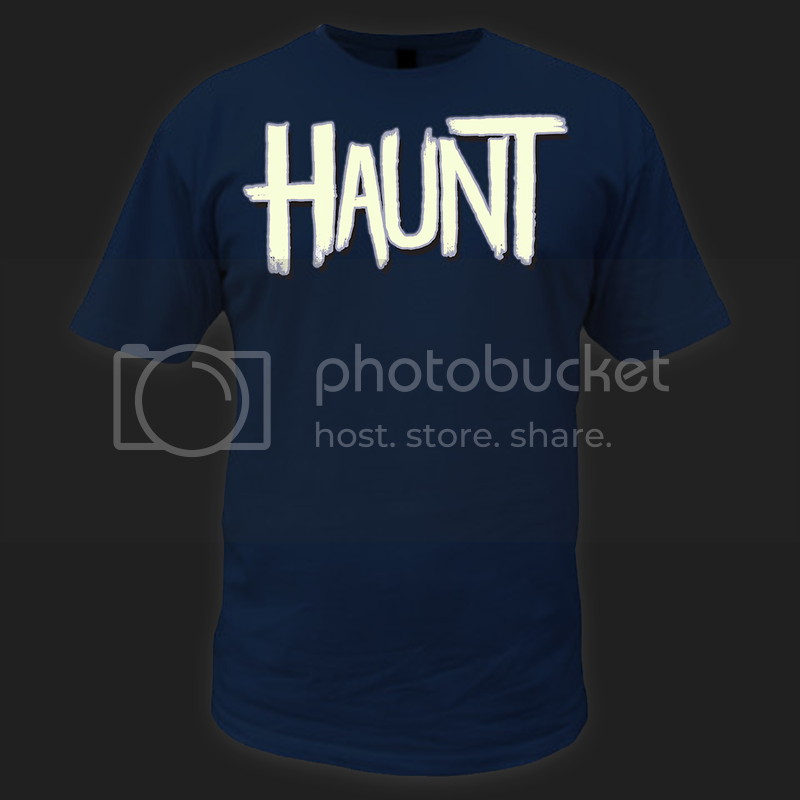 Or if you’re in North America or Europe, you can find the Haunt clothing at Spread Shirt.  If you want to join in the discussion with us and other Stormforge players, then come join our Discord server! As the title of the blog says, the Haunt RPG is now released and available only on DriveThruRPG for $4.95! Click the cover above or HERE to get your hands on Haunt. 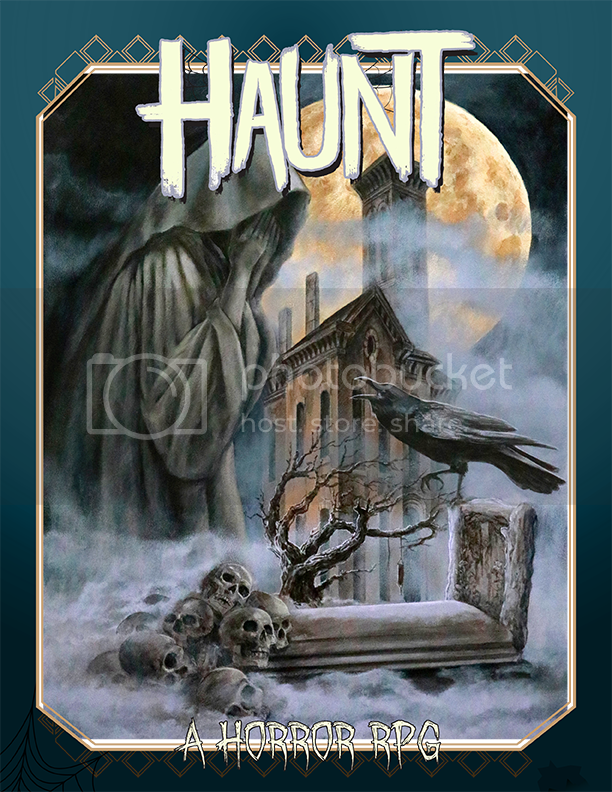 Haunt does exactly what the title implies, it sets your characters in a spooky location and then sets the horrors upon them. It’s a game that is set up quickly and gets your players into the game even quicker and easier, but the thing that makes Haunt special is its Secrets System. In Haunt, players keep secrets from the GM and these secrets are the PCs’ lifeline. Whenever they make a mistake, the GM asks them a question to try and unravel what hidden secrets they have kept buried. If the GM discovers all their secrets, it’s game over. So get Haunt now and see how long you can survive before the creatures of the night descend upon you. Haunt separates its characters into broad archetypes of supernatural investigators. These archetypes represent the kind of people who would find themselves in these types of situations. The archetypes do three things. First, they determine your starting attributes (Faith, Intuition, and Knowledge). The second thing archetypes do is give you boons. Boons are useful tools which allow the player to learn something or help fend off the haunt. Boons are activated by giving the Game Master a hint, so every use is a risk. The third and final use of the archetype is to help you get an idea of your character and how they work. The archetypes in the book are by no means the only possible archetypes or represent what exactly your character is. It is perfectly acceptable to create your own should these not suffice. The six archetypes in the book are: Priest, Scientist, Psychic, Investigator, Exorcist, and Mystic. 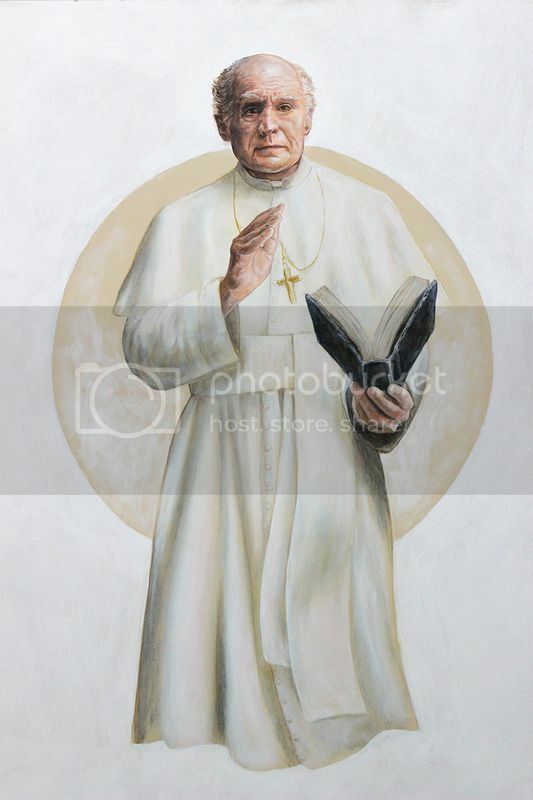 The Priest is the character that represents Faith. Their belief in a higher power is what grants them this attribute. 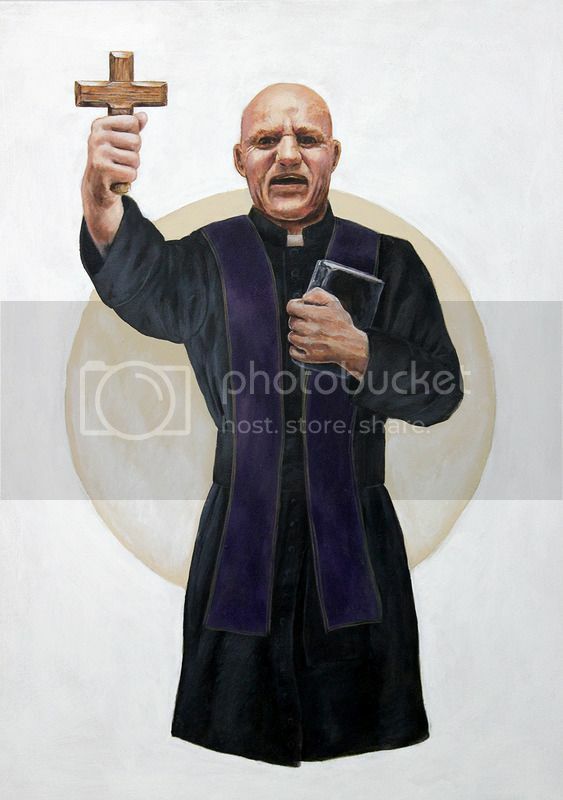 Priests (of various religions), pastors, or even social workers (for a no religious approach) are examples of Priests. The boon, Confession, is a defensive boon. When someone in the same location of the Priest fails a roll, the Priest may give the Game Master a hint to stop him from asking the player a question. This can save someone’s life, but it can also shorten yours. The Priest is willing to sacrifice themselves in order to save others. 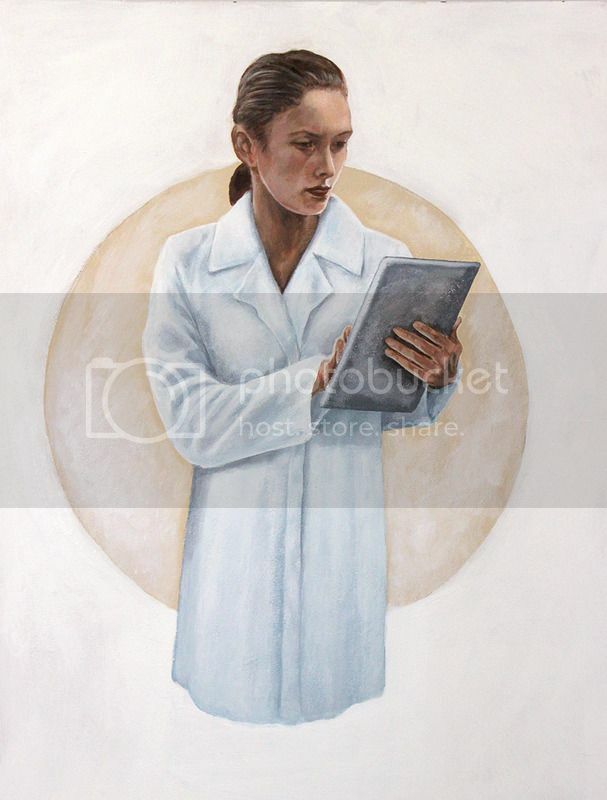 The Scientist is the character that represents Knowledge. Half a lifetime’s worth of study and contemplation have granted them this attribute. Teachers, professors, doctors, or other types of scholars are examples of Scientists. The boon, Explanation, is a boon that is best used in preparation. The Scientist gives the Game Master a hint and every character in the Scientist’s location increases their Courage skill by one. This means these characters are better at defending against the supernatural terror. Unfortunately, this extra courage lasts only until it is used. The Scientist sees the world in a logical way, and can explain exactly why everyone is ok. The Psychic is a character that represents Intuition. Their sixth sense is very acute, granting them this attribute. Doomsayers, people with psychic ability, and those who have opened their third eye are examples of Psychics. The boon, Visions, is a boon that can help you confirm suspicions. You give the Game Master a hint, and you get to ask him a question. This question must be a yes or no question. Did Jacob murder the ghost? Will destroying the body destroy the ghost? These are a few good examples. 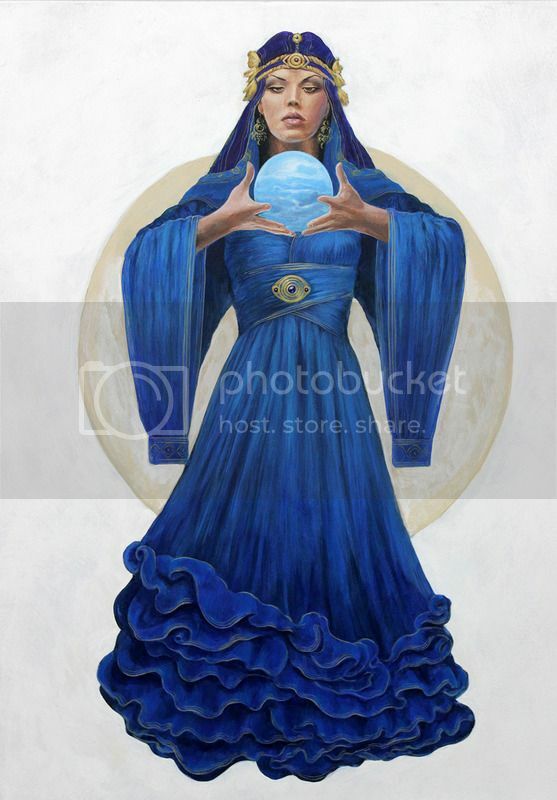 The Psychic gains visions of the future and the past. They can see parts of the truth, but not all of it. The Investigator is the character that blends Intuition and Knowledge. They use a combination of experience and gut instinct to discover what is going on. Police officers, private investigators, and journalists are a few examples of Investigators. The Boon, Investigate, is there to help you when you get stuck. 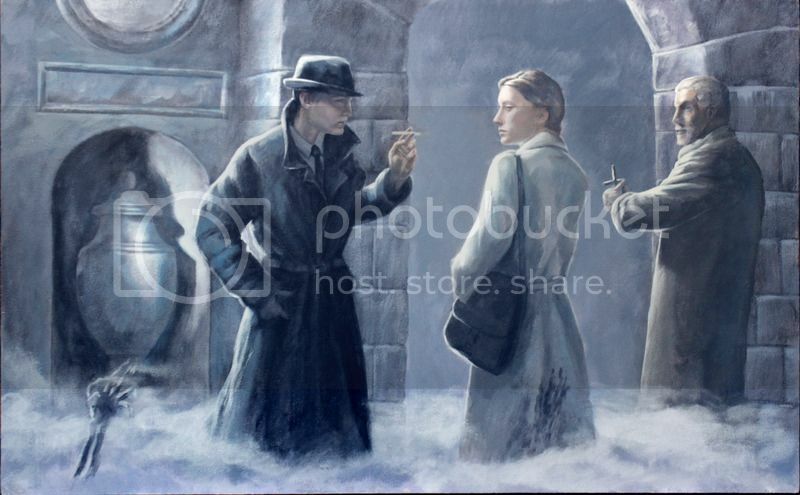 The Investigator gives the Game Master a hint, and the Investigator learns where the closest important clue is. This should only be used when the players are truly stuck and have no idea where else to go. An investigator has the know-how to spot a clue in a pile of red herrings. 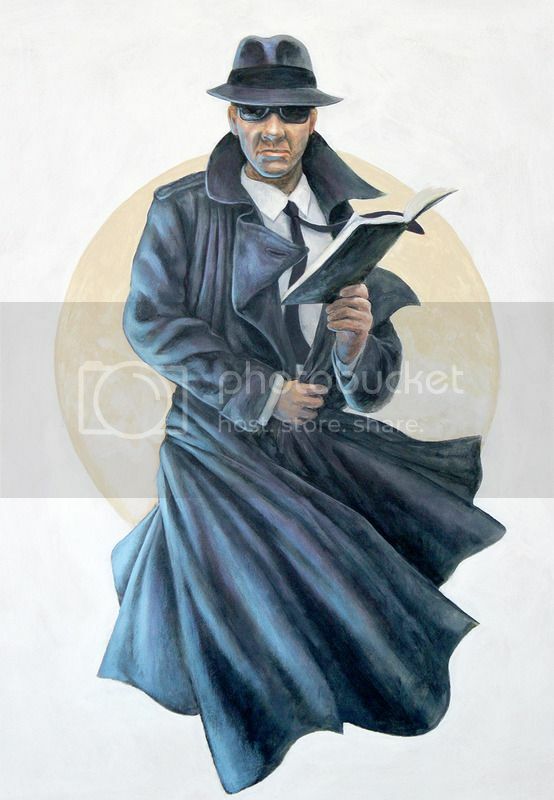 The Exorcist is the character that blends Knowledge and Faith. They use religious texts and incantations to battle the dark. 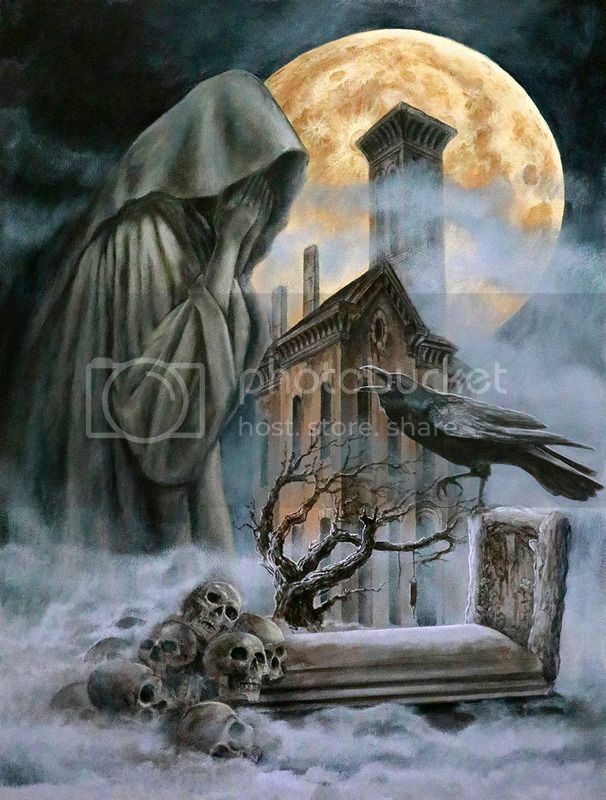 Occultists, witch hunters, and those who hunt the dead are a few examples of Exorcist. This archetype is the only that can truly stand up against the spirit. The boon, Ritual, is one of the most potent defensive boons. When the ghost attacks, the Exorcist may give the GM a hint and banish the ghost for a short time, nullifying the attack. This can be a lifesaver near the end of the game, when the spirit is the most dangerous. The Exorcist wields their faith like a weapon and strikes down the things that go bump in the night. 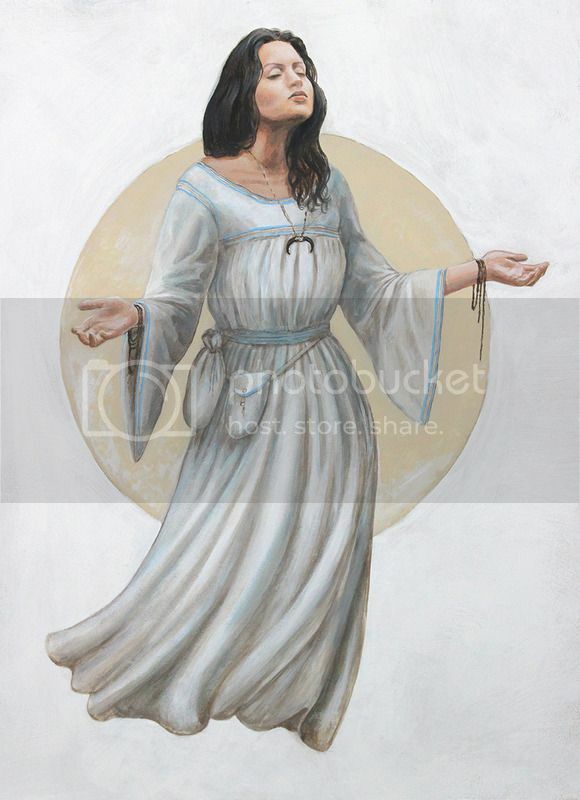 The Mystic is the character that blends Faith and Intuition. They combine their sixth sense with a unique outlook on the world. Druids, faith healers, and medicine men are a few examples of Mystics. The boon, Commune, is one of the most difficult boons to use. The Mystic gives the Game Master a hint, and the Mystic may ask the spirit, ghost, demon, or whatever is out there a single question. This is tricky for the Game Master and the Player, because the ghost must answer truthfully. However, the ghost does not need to be clear. They can speak in riddles or metaphors to confuse the Mystic. The Mystic can get the closest with the spirit and has the deepest connection to it. But a door once opened can be entered through both ways. With Haunt right around the corner, let’s hear from James to see what makes Haunt so unique. Haunt is a game about secrets. Players have secrets, Game Master’s have secrets, and even NPC’s have their secrets. Let’s explore these secrets in detail. When creating a character in Haunt, the Game Master needs to physically get up and leave the room. He cannot be here during this time, otherwise the game becomes trivial. Once the Game Master is gone, you can really dig into these dark secrets. There are three secrets each character has, and each one has certain limitations to it. These secrets are the Haunt Secret, Character Secret, and Background Secret. The players talk together to explore their secrets. It is important that each player knows everyone’s secrets. The reason for this is it makes sure that no individual player can lie about their secrets. The first secret is the Haunt Secret. Think of a phrase that fits within these guidelines: something that has to do with why your character came to this location or why they hunt the supernatural. Let’s look at a few examples. At the beginning of the game the Game Master explains the setting to the players as much as he can. The players use this knowledge to choose their haunt secrets. In this example, the haunted location is an old abandoned house that several people have not returned from. One character’s Haunt Secret might be “I was left behind while my friends went to this house,” and anothers is “I am a paranormal investigator who wants to get to the bottom of this!” The Haunt Secret gives your character a reason for being at this location. Something magical happens when creating these secrets. Talking about them with your friends at the table, you will start to make connections between your secrets. A detailed and interesting backstory begins to reveal itself. When you create your characters’ secrets you will see how your characters’ backstories interact. This makes a small web of interconnected events that can make for some very interesting stories. Of course, you can ignore all of these connections and just play these secrets mechanically, but I have noticed that the kind of people who truly enjoy roleplaying games cannot help but to create these connections instinctually. Now that we know what the secrets are and how they are formed, the Game Master needs to know how to discover them. Throughout play, the Game Master will gain the opportunity to ask a player a question. This question is the primary technique for finding the players’ secrets. Did you murder anyone in your past? Is your character in love? Are you a runaway? Who is your character secret with? These are all types of questions that you can ask. Each one whittles away at a character’s secrets until the darkest ones are revealed. It is important for the Game Master to use context clues and gauge the players reactions to your questions. The human element of investigation is very important, because once the Game Master uncovers all three of a character’s secret, that character is out of the game. The three secrets, Haunt, Character, and Background, are just the tip of the iceberg. There are a few other optional secrets as well which will be in the full version of the game. These include Legacy secrets, Outsider secrets, and Hellbound secrets. And many more varieties are possible as well. As long as they are consistent, Game Masters can even create their own.